So we are up to the third week of our new curriculum and we are still loving it! 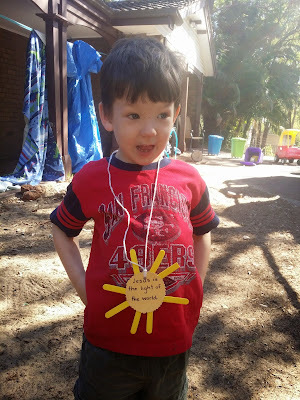 This week was Ss is for Sun and our words to remember were "Jesus is the light of the world." 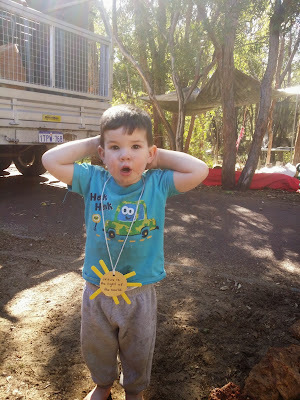 Here is a look at some of the things we got up to! 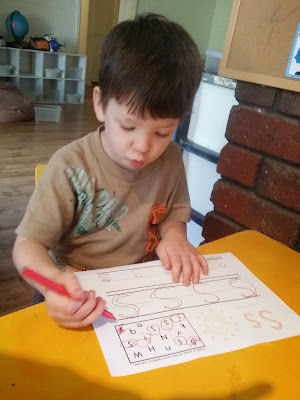 Tracing sandpaper letters for pre-writing. 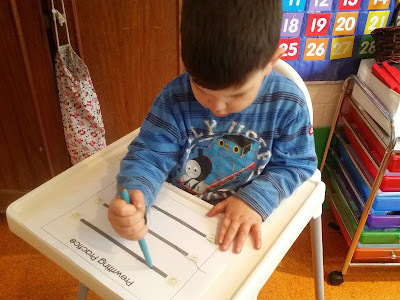 Introduction to the letter of the week. 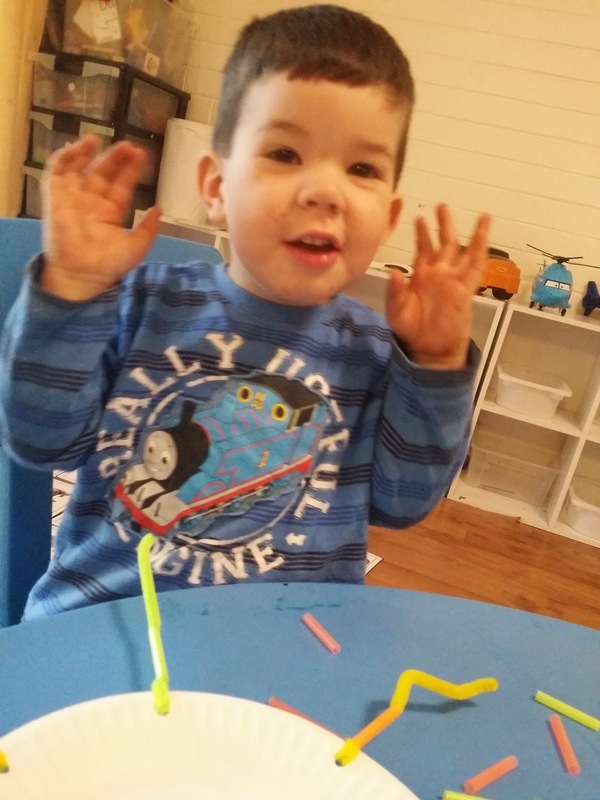 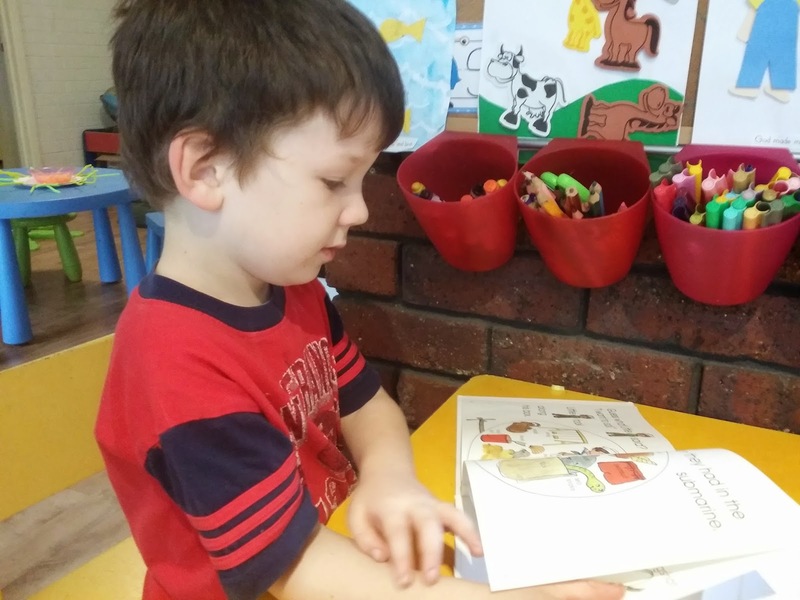 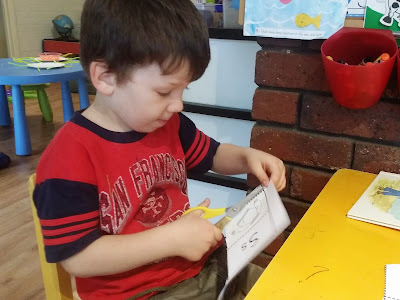 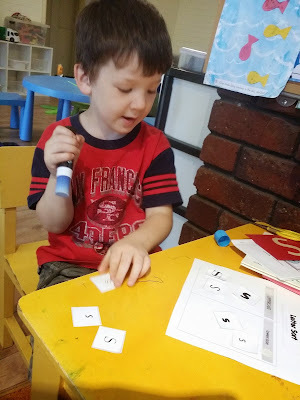 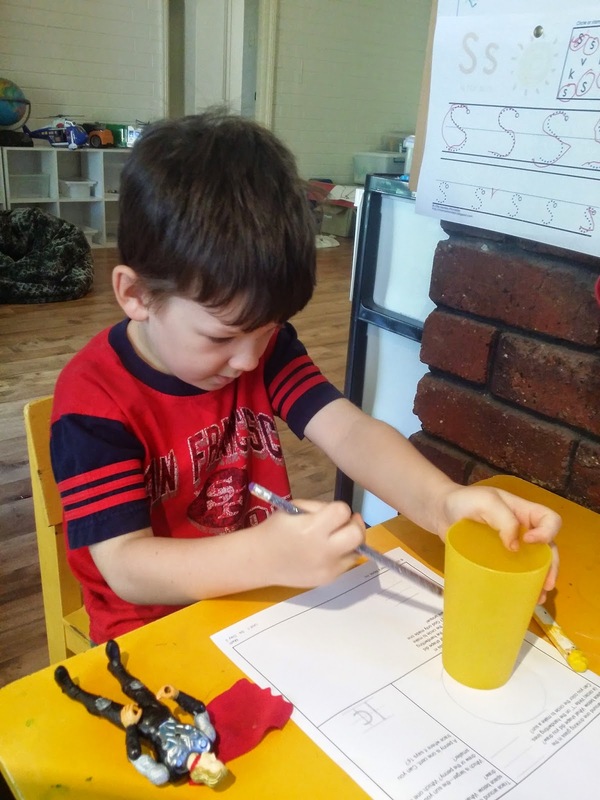 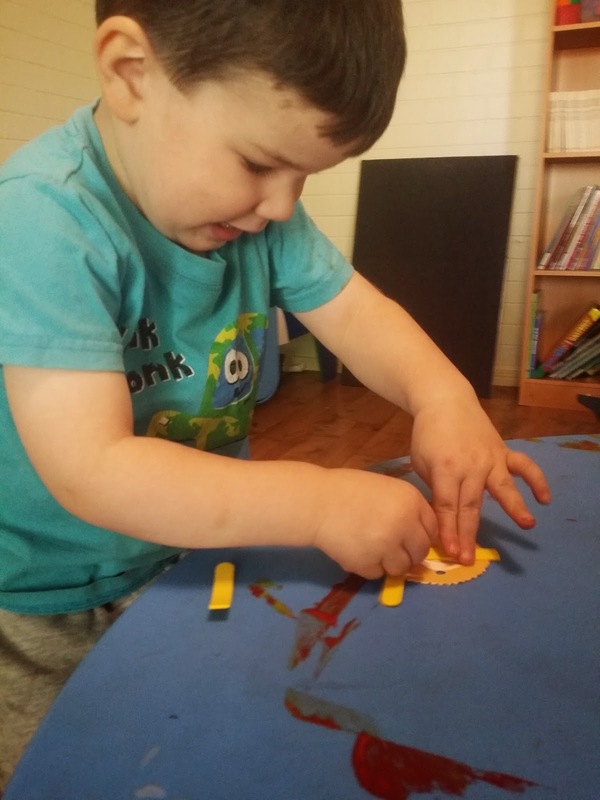 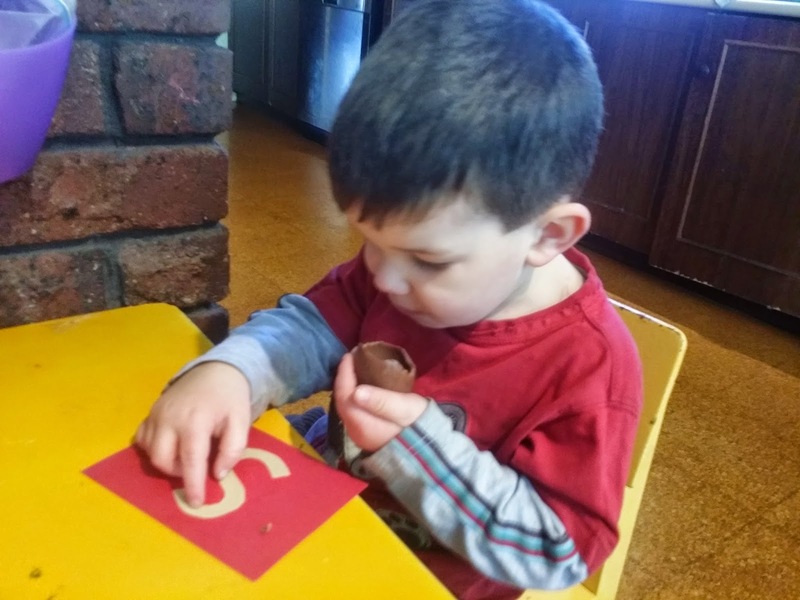 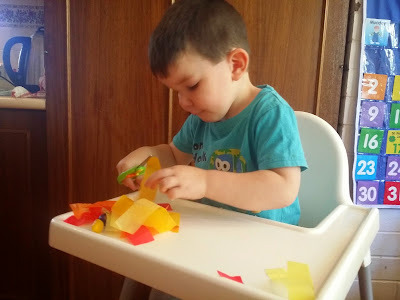 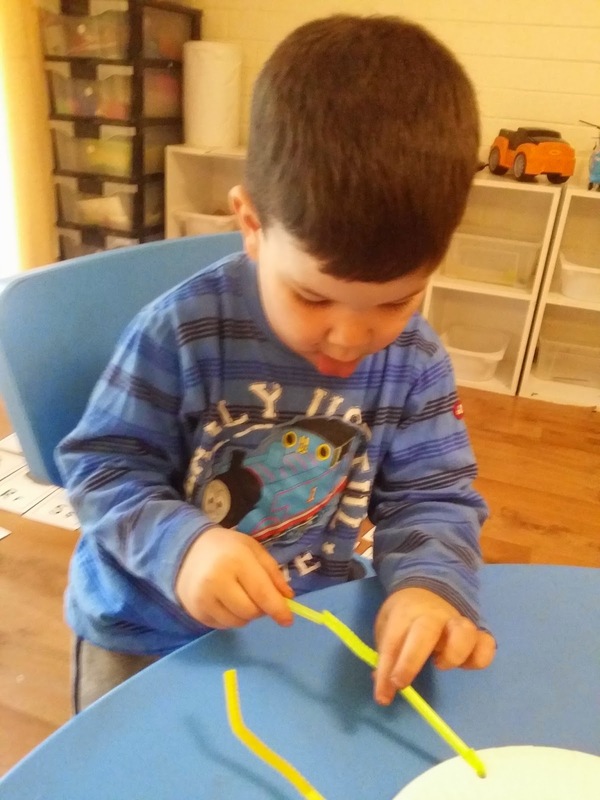 Samuel already knows all of his letters and sounds so we are focusing on identifying words that begin and end with the sounds. 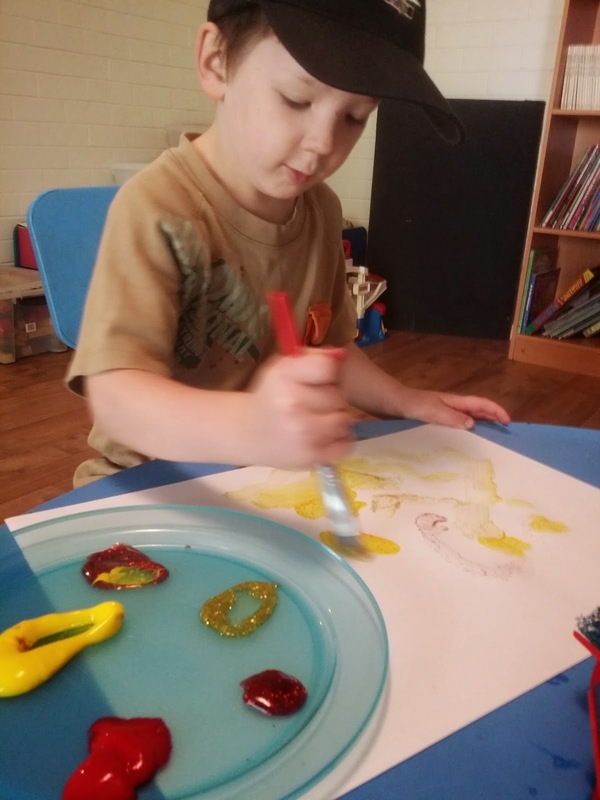 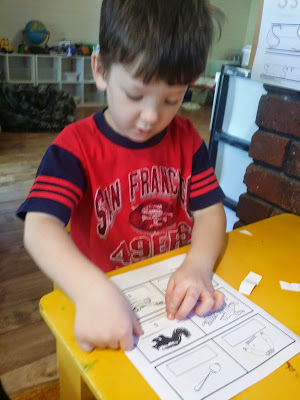 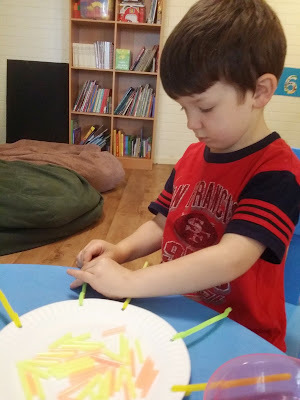 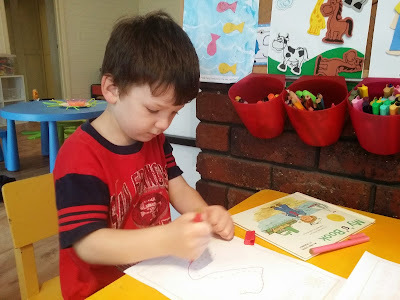 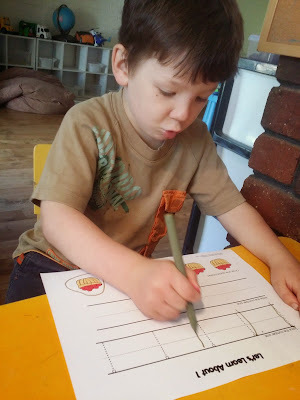 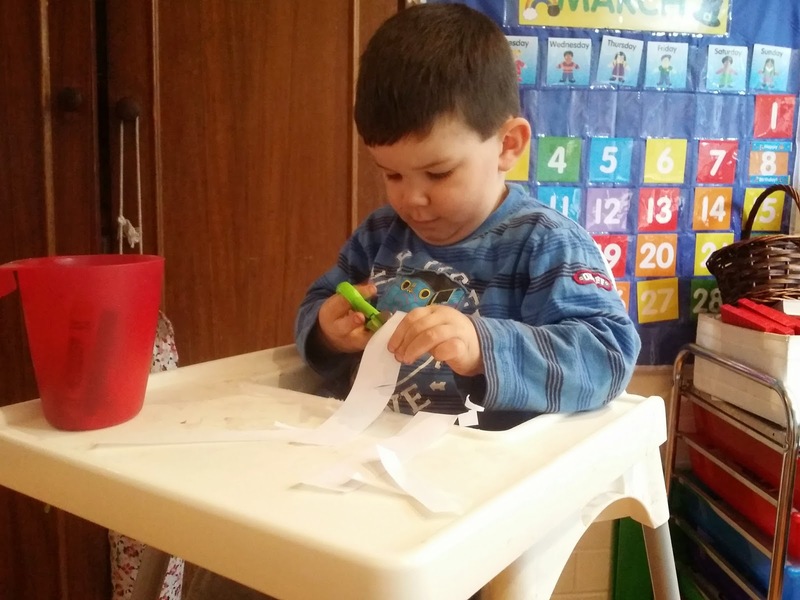 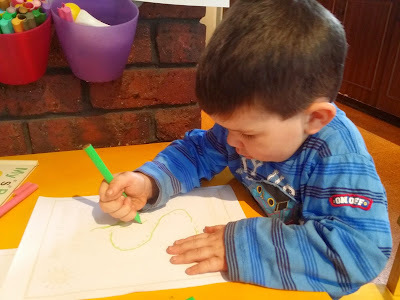 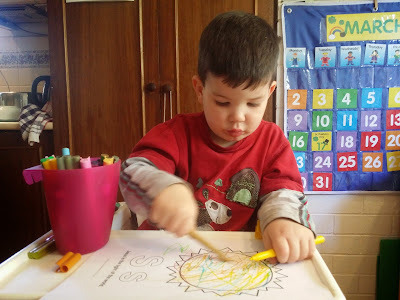 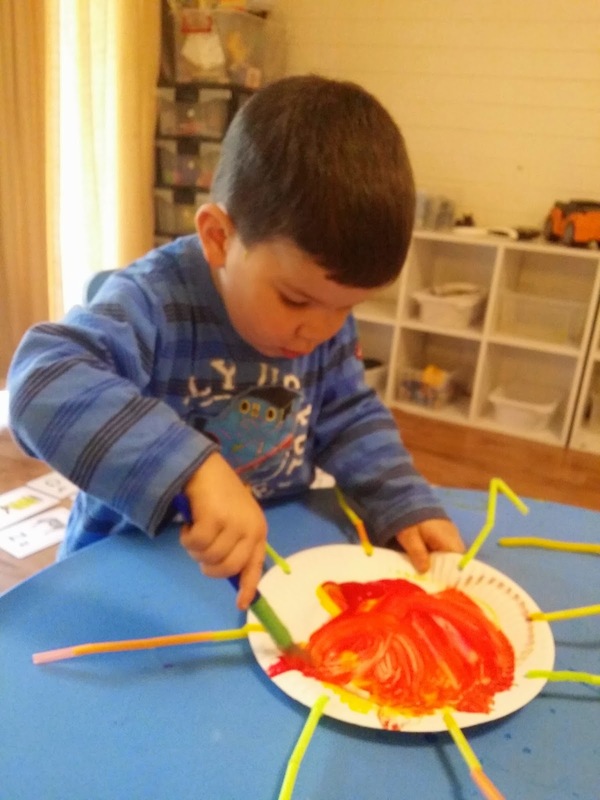 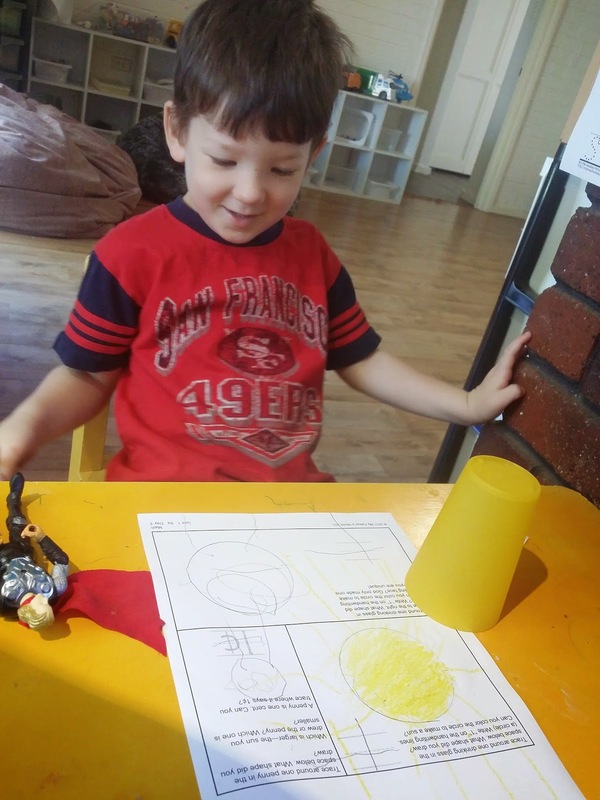 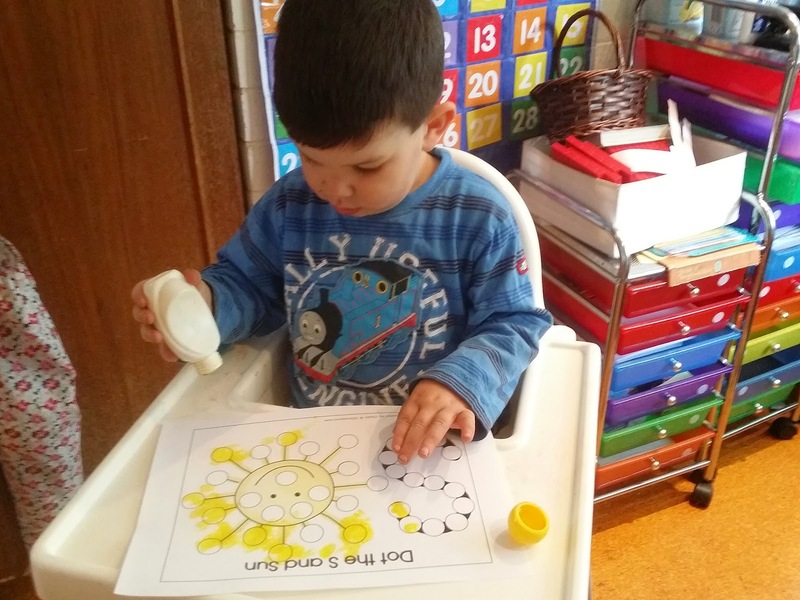 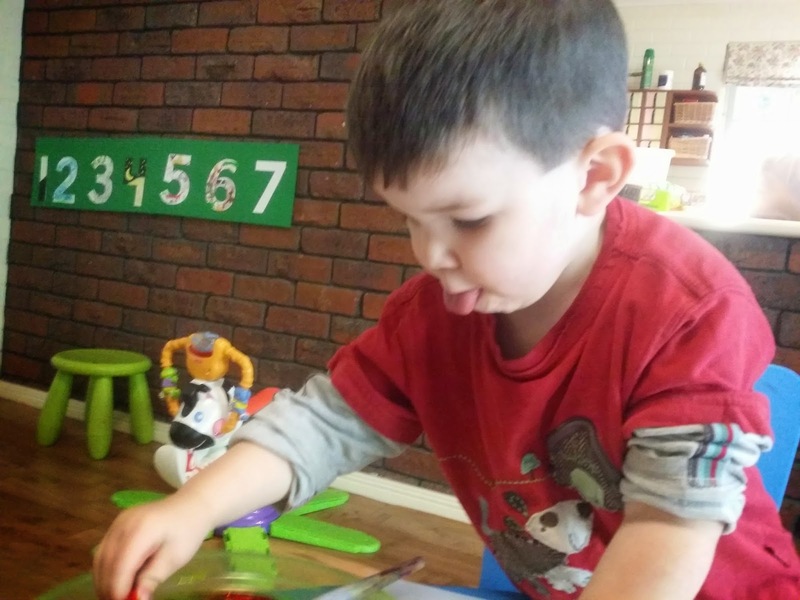 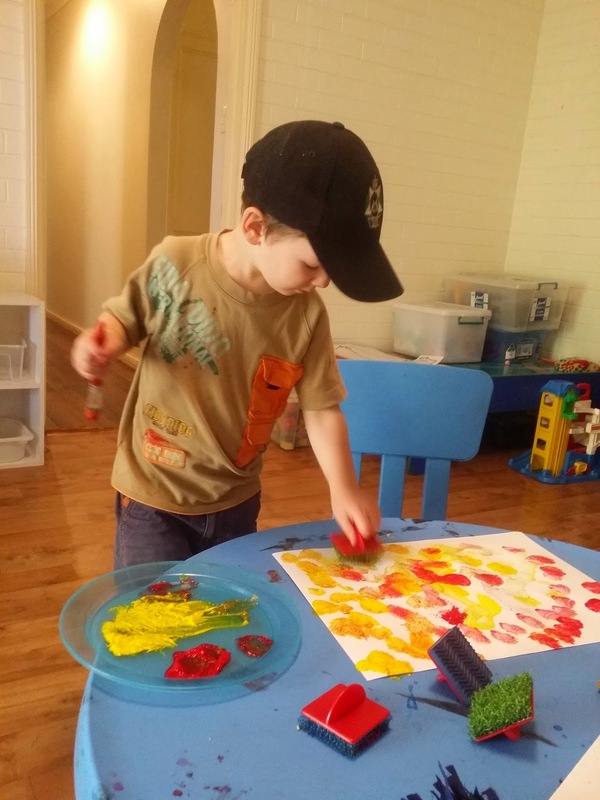 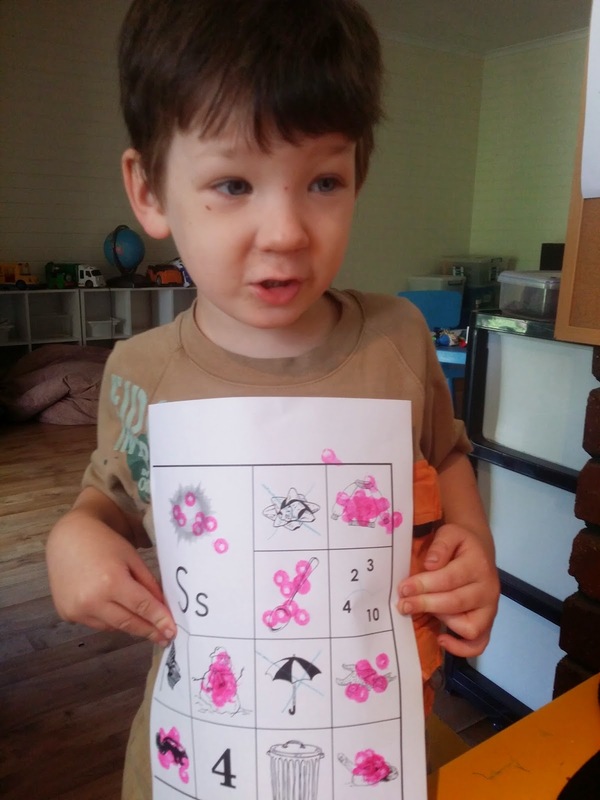 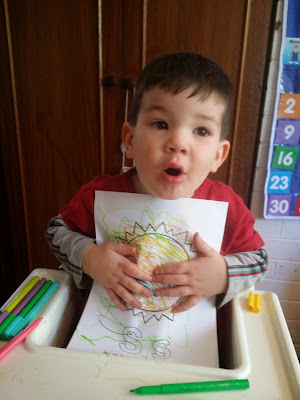 Nathanael had his own activities to do while Samuel was doing "school" with Mummy. 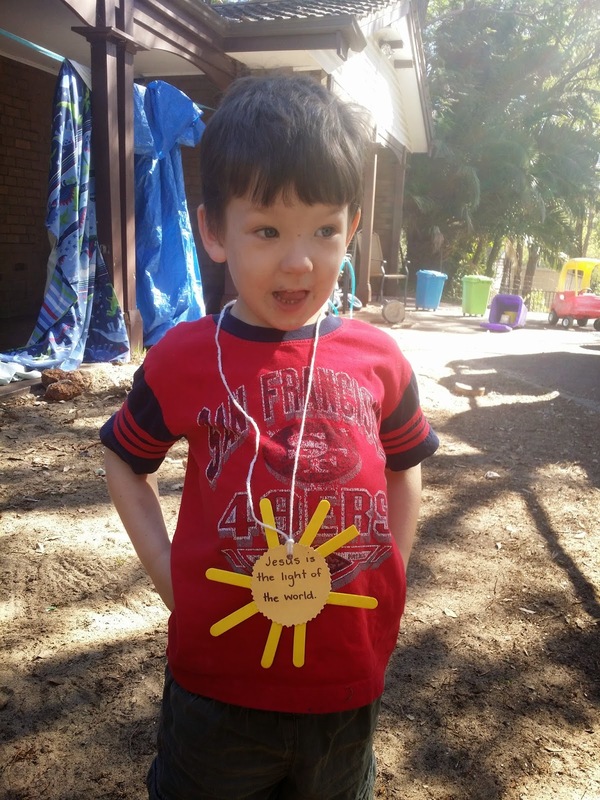 Our Bible words to remember this week were, "Jesus is the light of the world!" 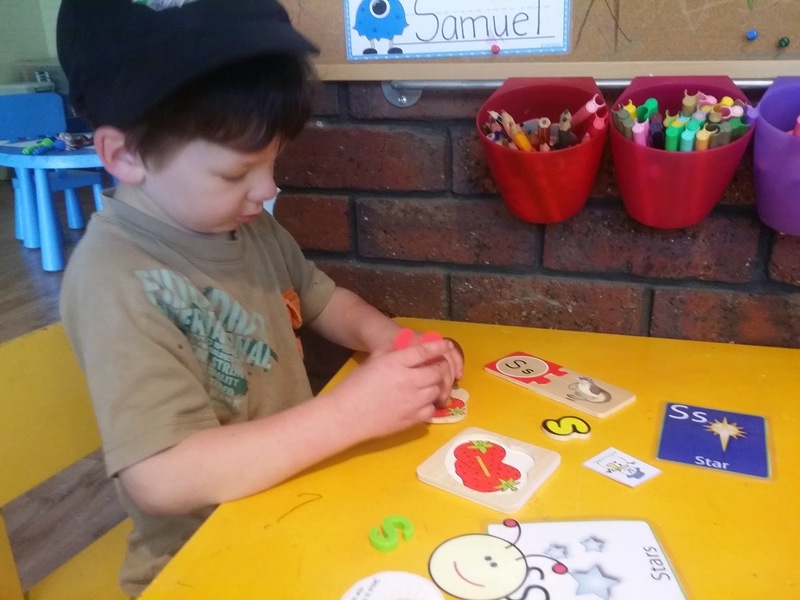 Part of the program is to make badges each week to help remember the words to remember. 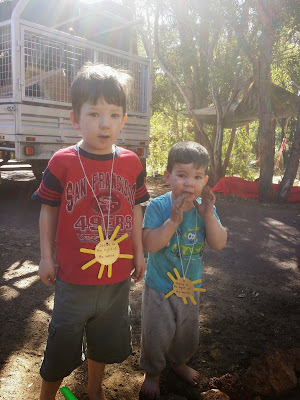 We made ours into necklaces instead. 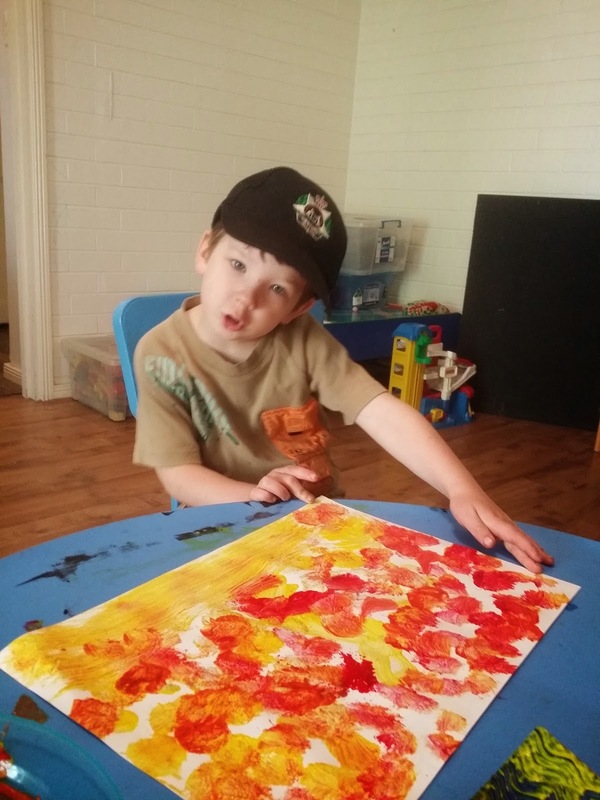 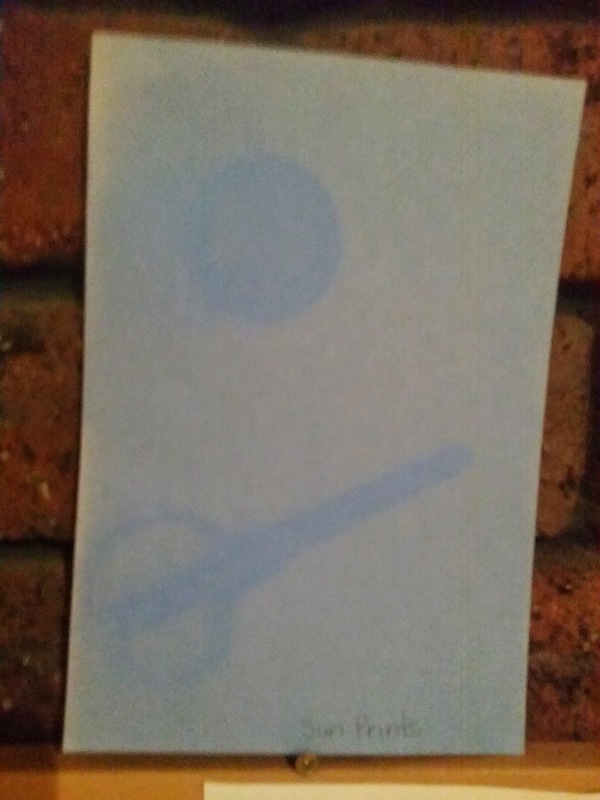 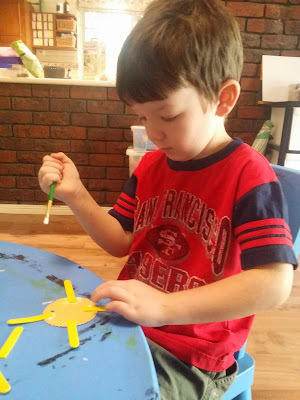 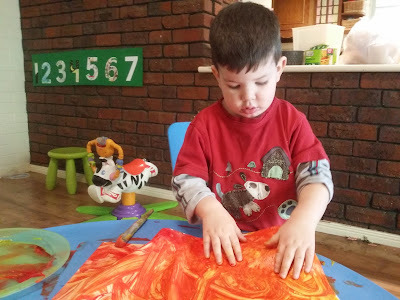 Sun paintings. 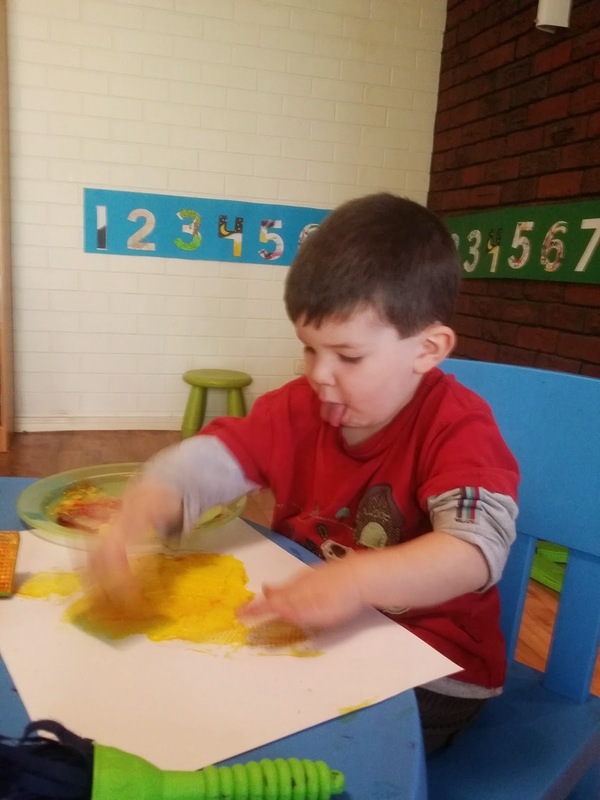 There's that tongue again!! 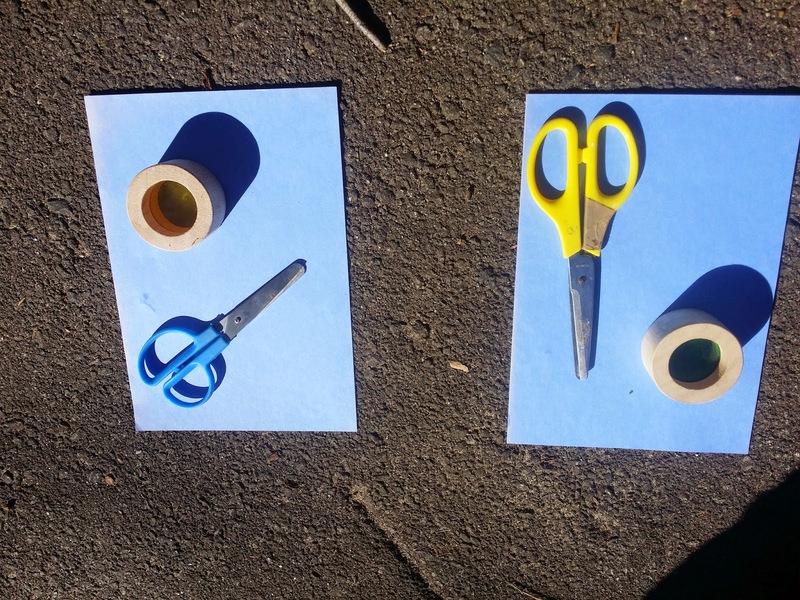 We experimented by putting some objects on cardboard and leaving them out in the sun for an hour to see what would happen. There wasn't much sun this week but it still works. 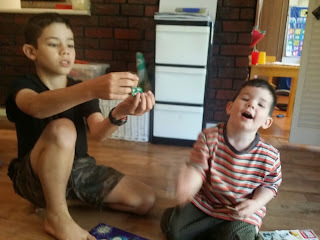 The boys were quite amazed at what happened. 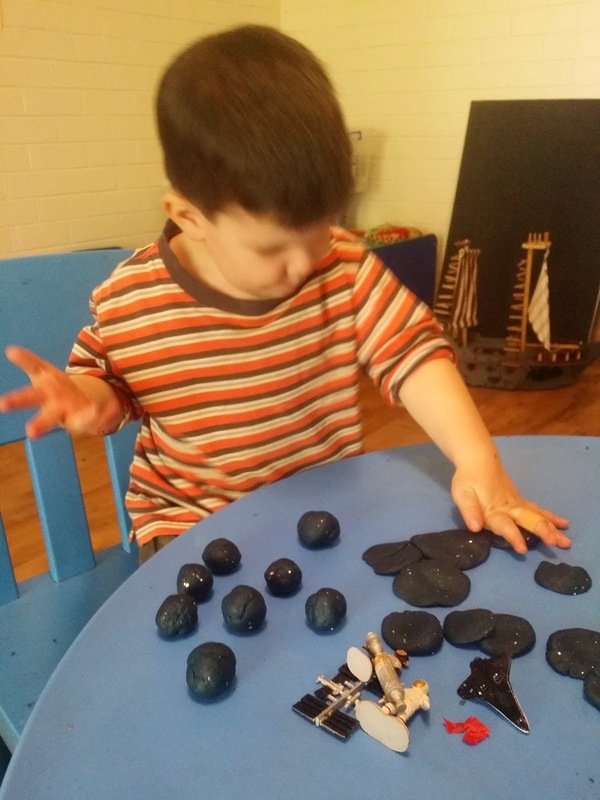 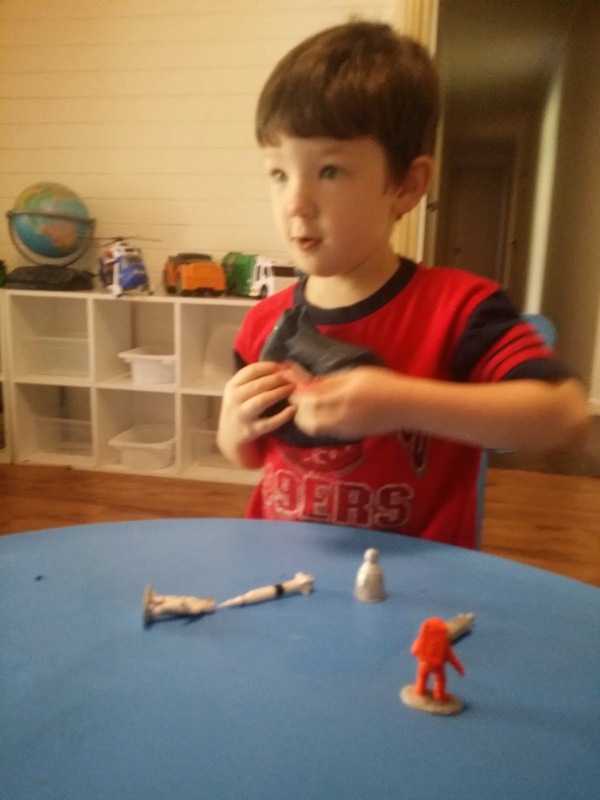 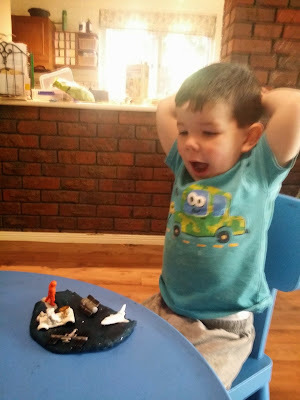 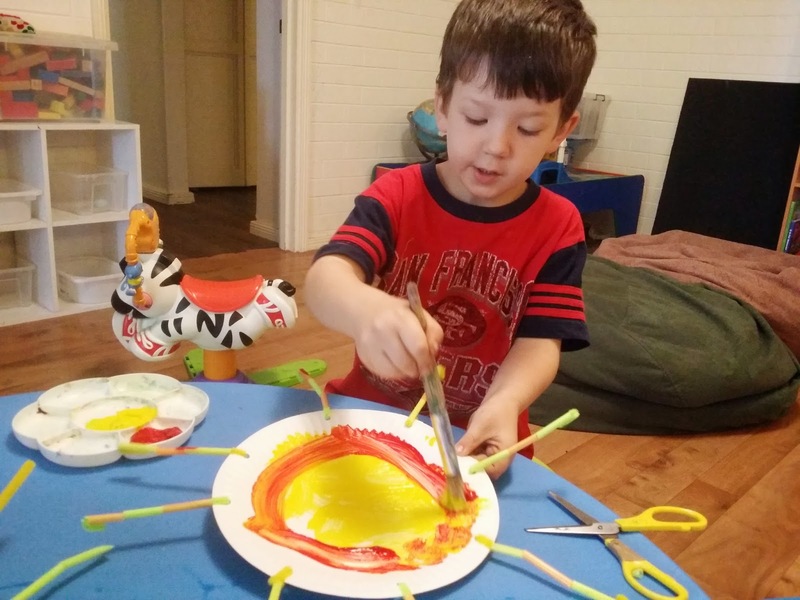 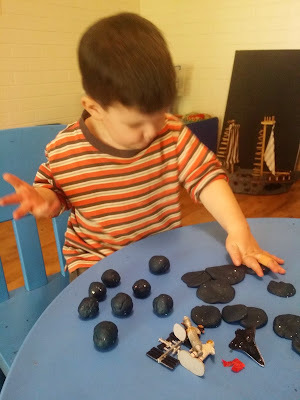 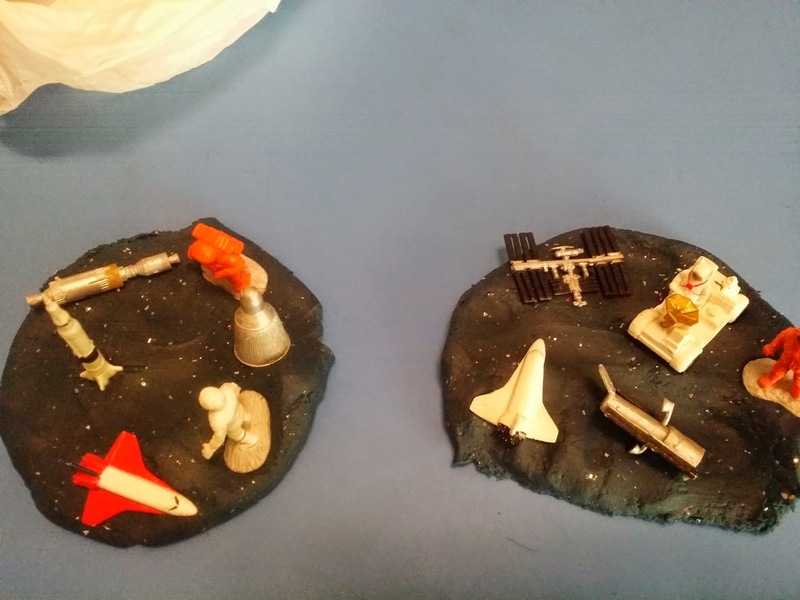 I made some "space" playdough for the boys and added our space toob. It was played with many times during the week. 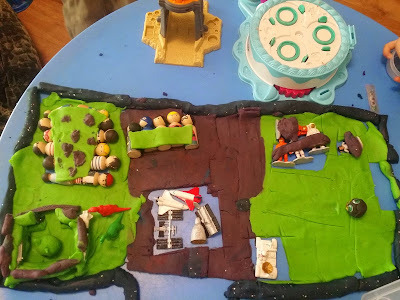 Later in the week, the big kids joined in and together they all created a space station on the moon, complete with superhero and pirate peg people. 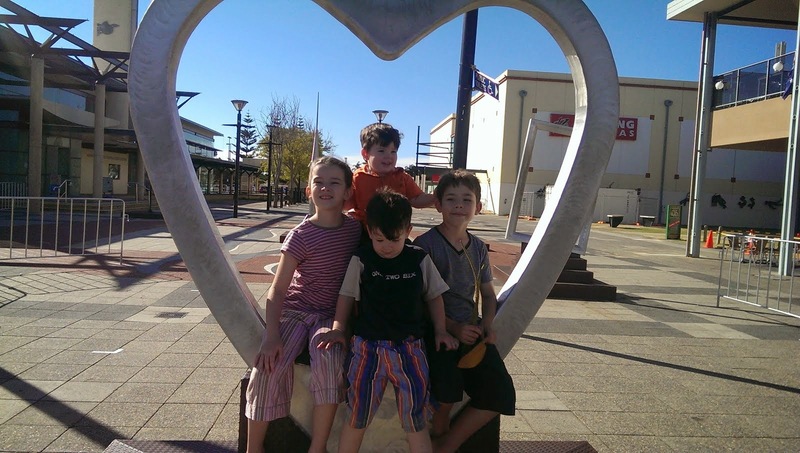 They are all having a nap in this photo! 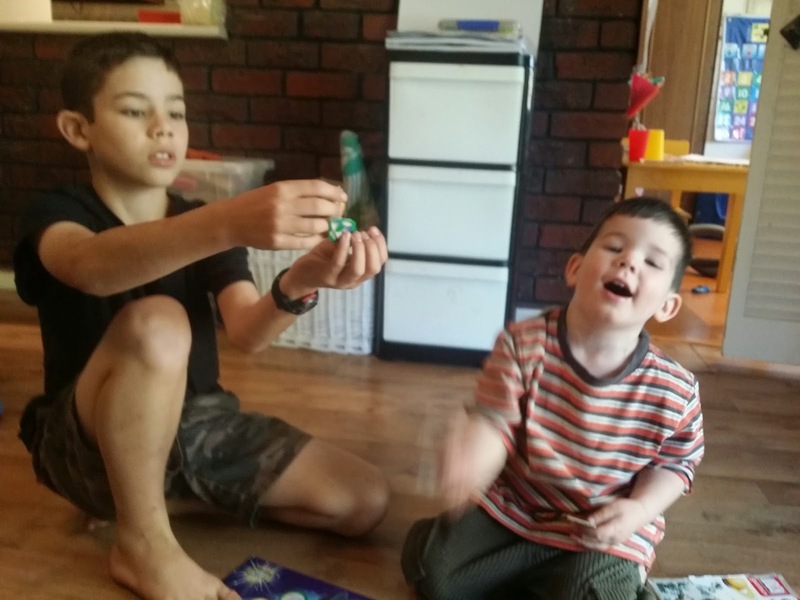 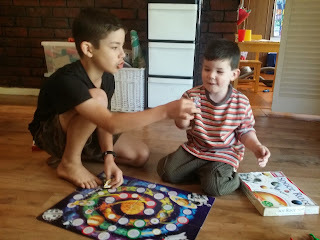 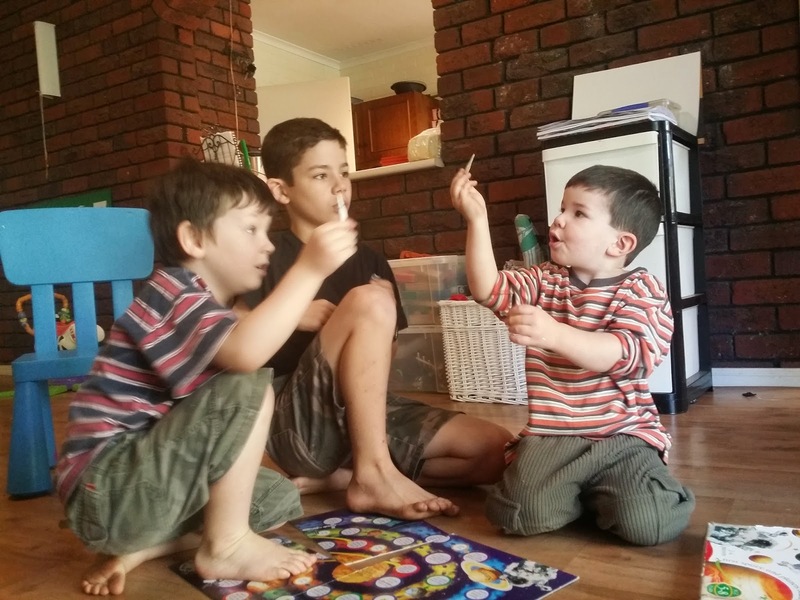 Liam got out our space game and tried to teach the little ones how to play. In the end they just made up their own version which just involved using the rocket playing pieces and making them blast off! We had a great week and are looking forward to continuing with our space theme next week with Mm is for Moon.